one of the leading security service providers in the Irish marketplace. So why choose Ryetech for your Security Systems? We design each system to suit your exact requirements. All forms of intruder detection is catered for including external and perimeter protection. 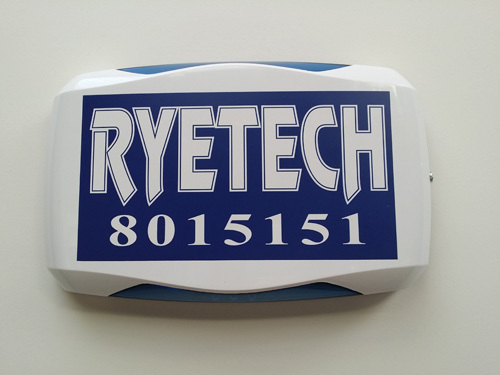 Ryetech provides the very latest in Intruder Panel technology including mobile phone text alerts, Wireless Intruder Systems, GSM, IP and integration into house automation. Use mobile phone texting to control your intruder alarm and house automation. This could include switching on and off services such as lighting control, heating control and gate automation all through your intruder panel and mobile phone. Ryetech provide an emergency call-out service nationwide 24 hours a day, 365 days a year. Our dedicated monitoring centre is based in Ireland and will provide a highly personal and professional service. Ryetech also provides a professional Key Holding service.